LIMITED AVAILABILITY! 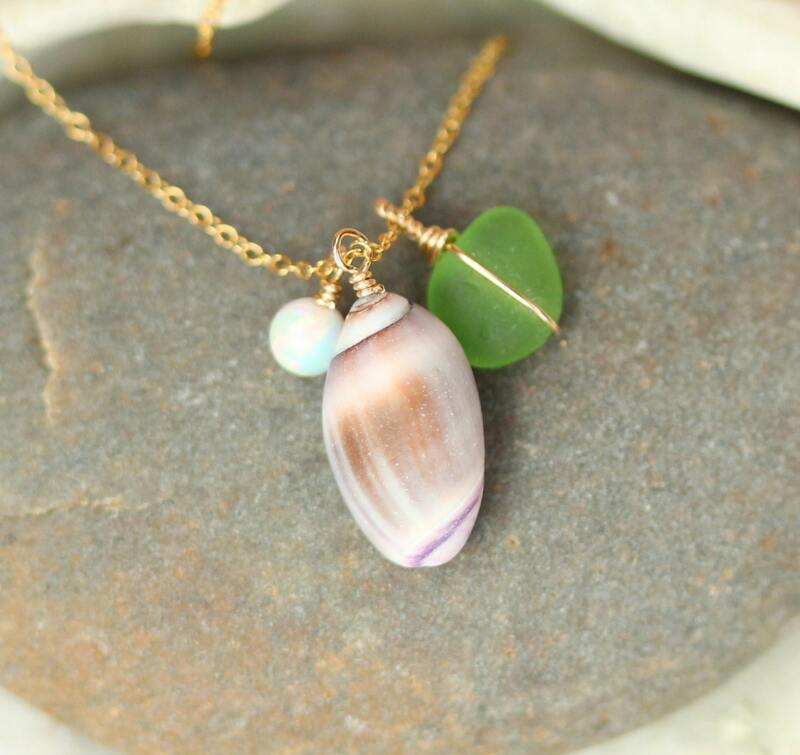 This beauty is made of a cluster of hand collected gems from my secret beach in Malibu and is one of a kind, These are hand collected one of a kind shells and sea glass with the addition of a tiny white or aqua lab opal bead. These treasures are collected only on the perfect days and at the perfect times since they cannot be found during high tide and are personally collected with love by myself and my 4 year old daughter. 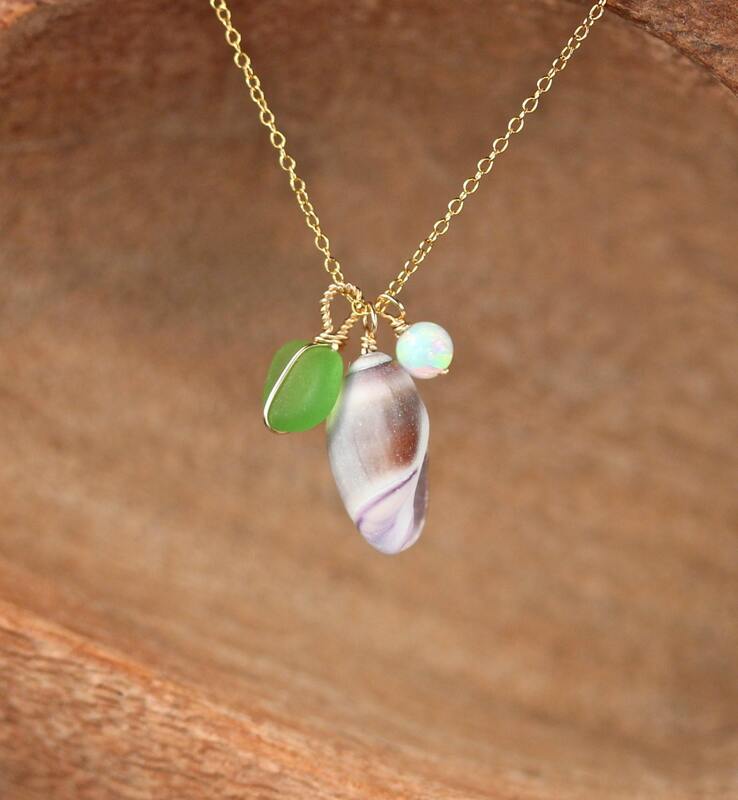 The necklace in this listing is shown on a 16 inch chain. 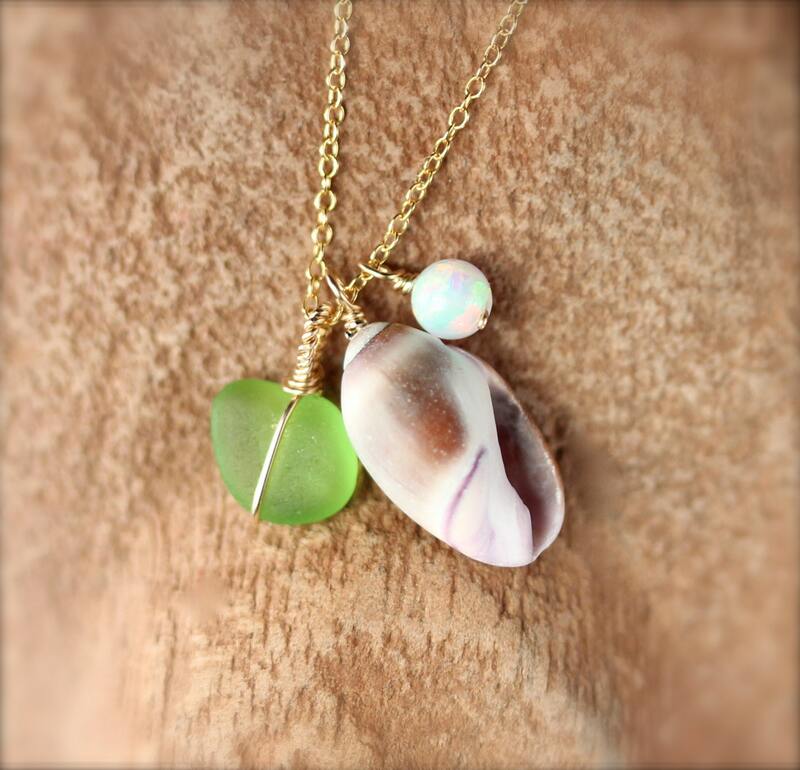 This is a one of a kind piece and each sea shell and sea glass will have variations in color, size and shape. The shells measure 1/2 - 3/4 of an inch. The sea glass measure 1/4 of an inch. 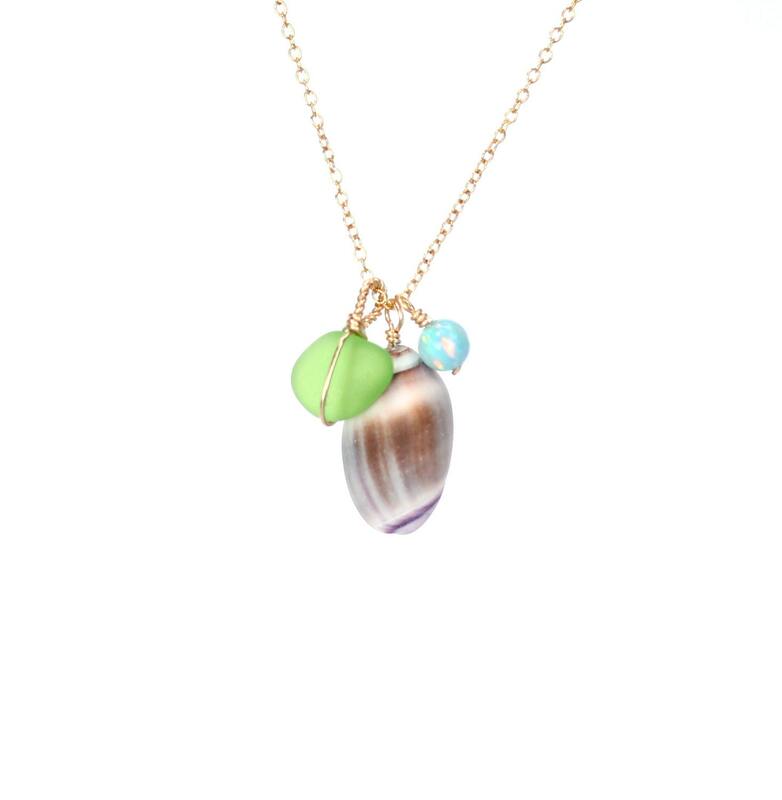 *Looking for just a shell? ♥ Looking for other charm necklaces?